Want to know how gNewSense stacks up against the other "unknown" distros of 2013? Click here to find out! I recently reviewed gNewSense 2.3 and waited patiently for 3.0 to be released. 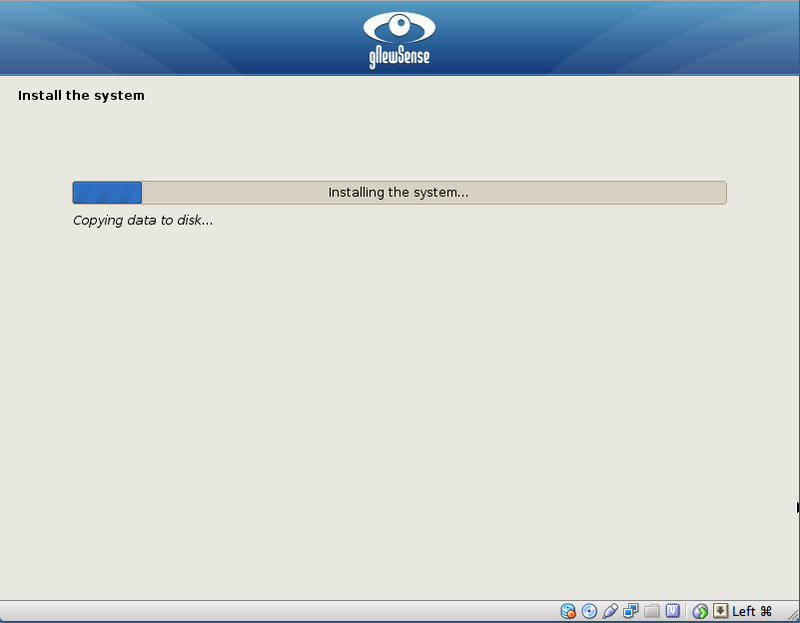 Having seen it pop up on Distrowatch this week, I decided to give it a try. First and foremost, I am most experienced with Ubuntu. Despite my uncomfortable position with Unity, I feel that Ubuntu is the best overall option with Mint as a close runner-up. The thing I want to stress is that while Ubuntu is my particular flavor (and CE inside of that), I'm intrigued greatly by gNewSense. The idea of making a distro completely free, with zero proprietary software options included, is fascinating to me. I wanted to know exactly how it would work out, so I gave it a try first with the 2.3 version and now the 3.0. As I use VirtualBox to do most of my Linux testing on my MacBook Pro, I installed gNewSense in VB with a full installation. Booting to Live CD was easy. It loaded up just like any other Linux distro does, so no surprises there. However, I encountered a problem when I tried to install the distro outright. The first time I did it, it got hung up at the timezone selection screen and stopped working. I restarted the VirtualBox and then got through all of what I thought was the installation, but when I restarted it, the installation was gone. Since I have used VirtualBox with Linux before, I knew that I had a good VirtualBox. This was disturbing. Start Screen for gNewSense 3.0. I could use it as just a live CD, but you really can't know how well a distro works when all you use it for is a live CD, unless of course that was what it was designed for. Therefore, I really needed to install it as a complete distro. With that in mind, I dove back in and tried again. Third time was the charm. It booted up just fine and looked good, despite having its desktop built on an older Gnome. This doesn't bother me because I actually enjoyed the traditional look of the desktop. 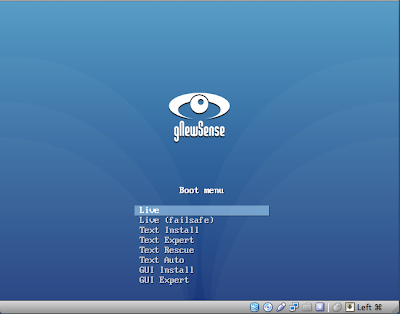 gNewSense comes with a standard load-out of older-model software; OpenOffice being a prime example. I will admit that they did upgrade to OO 3.2 vice the 2.4 of gNewSense 2.3. Unfortunately, OO is now releasing a 4.0 version, so gNewSense is still a little behind, not to mention they aren't using the LibreOffice that just about everyone else is using. It also uses the Epiphany browser instead of Chrome, Firefox, or Opera. CPU usage when idling is around 1-3% of my resources. Since I have a 2.5 GHz i5 processor, this was absolutely acceptable. 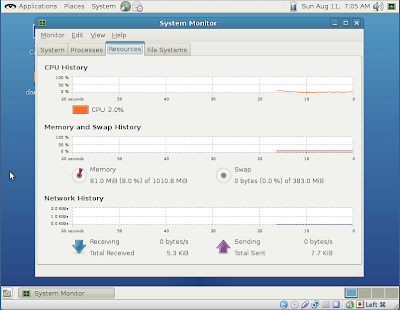 I allowed for 1GB of RAM in the VirtualBox instal, and gNewSense was using 84MB during idle. When running Nibbles, it shoots up to 71% of my CPU and 101MB of RAM. Using the web browser for a search, I use about 12% of CPU and 130MB of RAM. While downloading the Opera webrowser (my browser of choice) it needed 14% of my CPU and 112MB of RAM. Overall, it's pretty light on the resources, although I'd like it if a simple game didn't require so much processing power. The Good: Two things in particular strike me about gNewSense. First, it is rather fast. It did task my system a little while playing a game or two, but overall, I thought that it moved fast and responded to my demands quickly. Secondly, while I don't like the fact that they continue to rely on older software packages, they did upgrade the OpenOffice suite and it comes with Base from the outset. Most distros make you go get Base on your own. Finally, and to their point, gNewSense comes with a complete load-out of entirely free and unrestricted non-proprietary software. When you use gNewSense, you get a completely free system. The Bad: First, and to my last point above, you get a completely non-proprietary system, which means you get (in my opinion) a very limited OS. As long as your ethics regarding free software are driving you instead of your need to be productive, you're fine. If you are on a limited hardware setup and all you really need is a word processor and an internet machine, then gNewSense is fine. Other problems are that they don't come with the very nice package installer that Ubuntu has, or any other modern Linux OS has (whatever that flavor of Linux may call it). This makes getting the apps you want difficult to install for novice users. Finally, it's based on an older build of Ubuntu, which just looks bad when most other distros have moved on by now. As a final note, the gNewSense team has developed their own builder program. Unfortunately, I don't see how that is really beneficial. Since the build is based on Ubuntu Hardy, which is from 2008, I just don't see how it's all that relevant today. Here's the biggest problem with gNewSense. It is trying to do the right thing, but it's doing it by providing a second-rate product. If you are not busy trying to tackle the issues of today (how to get Linux and other open source software to the masses) then you're on the wrong side of history. Ubuntu, for example, is working on the Edge project. Trying to get a Linux phone out there is a great idea. Sure, Ubuntu is a little bloated and of course it isn't completely non-proprietary, but the game plan is right. Despite their best efforts, gNewSense lacks a modern operating system to work from. If they are worried about the modern Ubuntu's proprietary packages, then they should go to the Linux kernel and start from scratch with their own product. I understand your points in your review, though you formulate them ii a rather negative way. GnewSense is not a second rate product. it comes with all the cli tools you would expect in a linux distro. There is a price to pay for your freedom. If you don't have the awareness of the importance of only running free software, you will probably see the lack of certain software (mostly gui based) as a limitation or flaw. I'm currently running it as my main system, because it's fast and I like the older gnome interface. But, I also have a lot of criticism on this distro. The lack of updated documentation, and a forum is a huge showstopper for most new users that rely on gui tools only. Also they should have included more (automated) gui tools/scripts that recognize and configure important hardware like videcard/screen/resolution and wifi adapters. "There is a price to pay for your freedom. If you don't have the awareness of the importance of only running free software, you will probably see the lack of certain software (mostly gui based) as a limitation or flaw." Try Windows 8 - PRISM Edition if you find this limiting; you'll probably then learn what free software gives you! More positively, you can still try Trisquel and your perception about free software may be better. Trisquel have the same goals as gNewSense. The best choice today for x86/x86_64 computers is Trisquel. It is based on Ubuntu and up-to-date. 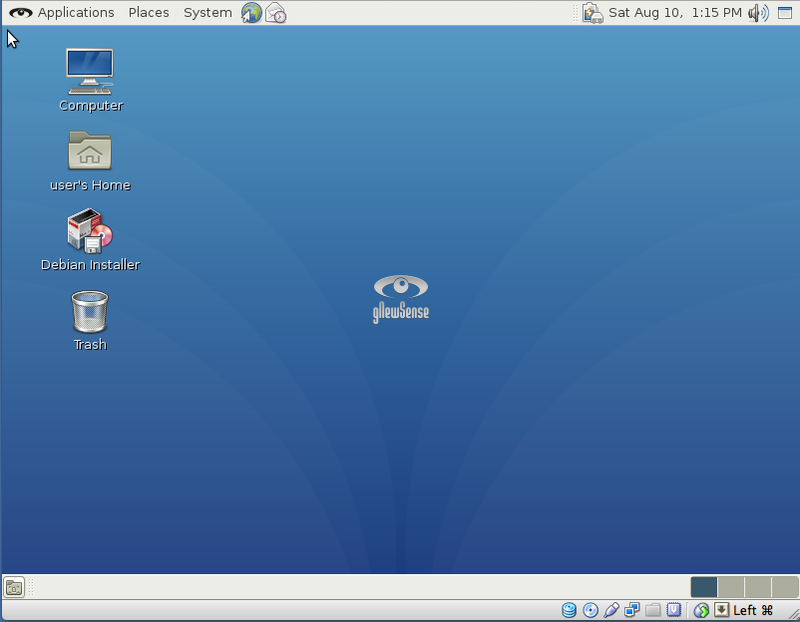 The last version (Toutatis - 6.0) is based on Ubuntu Precise 12.04 LTS. gNewSense 3 is based on Debian Squeeze (6.0) with support for x86/x86_64 and MIPS like Parabola based on Arch. I think you are completely missing the point here. "If they are worried about the modern Ubuntu's proprietary packages, then they should go to the Linux kernel and start from scratch with their own product. " That is exactly what gnewsense does. First of all, it is based on Debian now and not Ubuntu. Second, the reason why it is non-free is because it takes the proprietary blobs out of the Linux kernel, using the libre-kernel. In addition to that it does not have any non-free software in its repository, nor does it include software that references nonfree software (see contrib in debian). gnewsense is not competing with Ubuntu. There is an entirely philosophical approach to this distribution and it does a darn good job fulfilling its mission which you pointed out correctly -- a 100% free gnu/linux distribution. "As long as your ethics regarding free software are driving you instead of your need to be productive, you're fine. If you are on a limited hardware setup and all you really need is a word processor and an internet machine, then gNewSense is fine. " Specifically how does gnewsense prevent you from being productive? I use gnewsense every day and have never felt limited. I am able to accomplish everything that I need to accomplish with a rock solid system while running 100% free software, up until very recently this was nearly impossible. Lastly, Richard Stallman uses gNewsense, that being said this is the only 100% free distribution that runs on MIPS -- which is a pretty amazing thing in iteself because it is the first distribution to support running a truly 100% free operating system including the BIOS. People have a choice, freedom or convenience - and those that are willing to give up their personal freedom in order to play candy crush saga on facebook (via flash) --- or whatever, are certainly not the intended audience of this distribution.